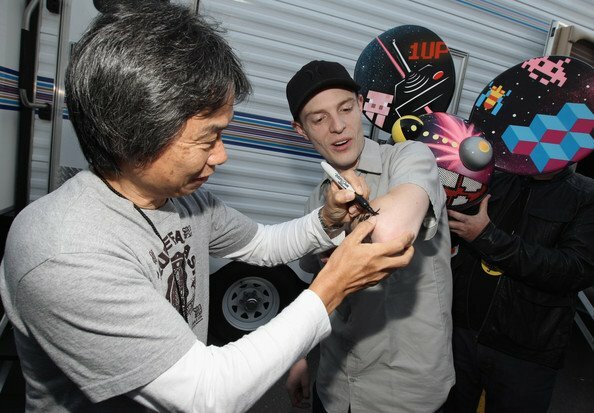 Would You Tattoo Miyamoto's Signature? Permanently inking yourself with the autograph of the master behind Mario and Zelda might be the coolest thing ever. As celebrity goes, Deadmau5 is pretty famous. He is a prominent music-maker in the dance, trip hop, hop step, electronic house scene - or whatever the kids are calling it these days. I've even seen him perform at Activision's party in LA for E3 2010. 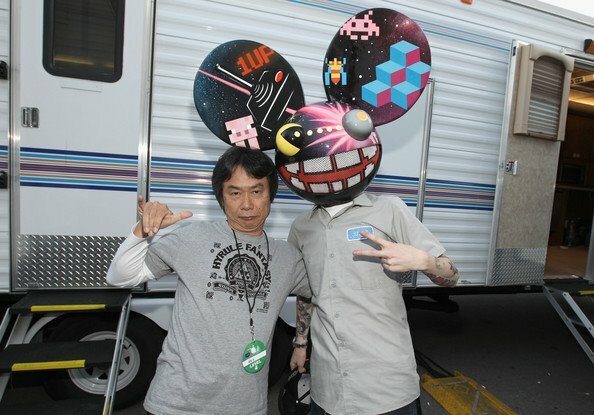 But Mr. Mau5 was in awe at the Video Game Awards this weekend when he met Japanese videogame legend Shigeru Miyamoto. 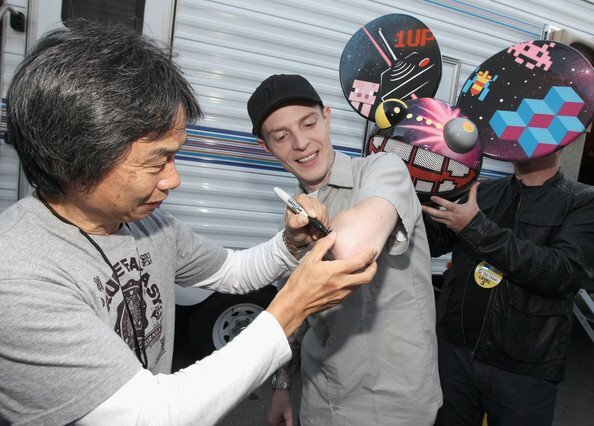 Miyamoto was presented with the first Hall of Fame award at the event, for which Deadmau5 was providing the music, and at some point found time to grab a sharpie and sign the DJ's forearm. In a scene that is now forever immortalized on video, Deadmau5 - aka Joel Zimmerman, a huge gaming nerd - asked a tattoo artist to come over yesterday and got that signature permanently etched on his body. Mr. Mau5 had the foresight to stream the entire tattooing process live over the interwebs, but aside from seeing the extensive anti-infection precautions taken by the artist, there's nothing very compelling to watch. 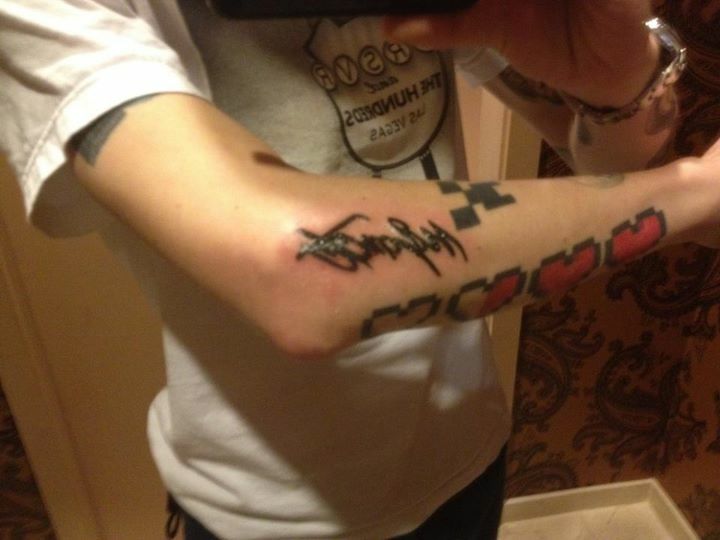 The cool part is that Deadmau5 now wears his geekdom firmly on his skin. The placement above the four heart containers already tattooed there just cements DeadMau5's love of videogames. Even if you are famous DJ, there's always someone cooler than you. And that someone is Shigeru Miyamoto.